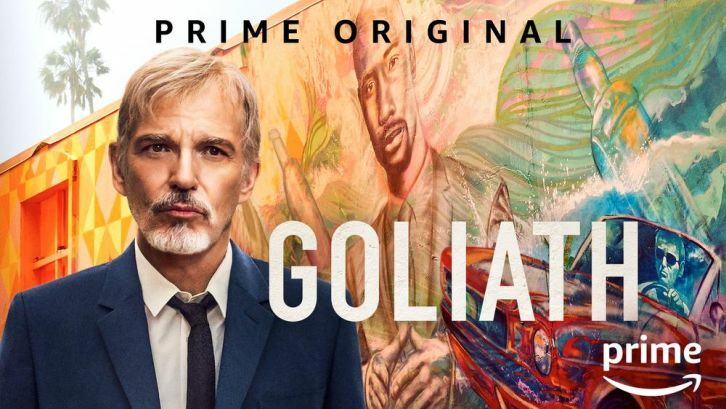 Amazon has ordered a third season of drama series Goliath, from David E. Kelley and Jonathan Shapiro, for premiere in 2019. In addition, Dennis Quaid (The Day After Tomorrow), Amy Brenneman (The Leftovers), Beau Bridges (Homeland), Griffin Dunne (House of Lies), Sherilyn Fenn (Twin Peaks: The Return), and Shamier Anderson (Destroyer) will join star Billy Bob Thornton in key roles for the new season. Lawrence Trilling (Parenthood), who worked on the first two seasons, returns as showrunner for Season 3. A premiere date will be announced later. In season 3, the unexpected death of an old friend leads Billy McBride (Thornton) to take a case in the drought-stricken Central Valley where he comes face-to-face with a new Goliath: a billionaire rancher (Quaid) and his sister (Brenneman). As Billy and his team pursue the truth, old enemies and personal demons resurface, forcing him to confront his own mortality. Goliath also stars Nina Arianda (Stan & Ollie) as Patty Solis-Papagian, Tania Raymonde (Cliffs of Freedom) as Brittany Gold, Diana Hopper (Bit) as Denise McBride, Ana de la Reguera (Narcos) as Marisol Silva, and Julie Brister (Review) as Marva Jefferson. Trilling, along with Geyer Kosinski (Fargo), Jennifer Ames & Steve Turner (Boardwalk Empire) executive produce.